Hope everyone had a great weekend and that the start of your week is looking bright! Way cute girl! Great look! 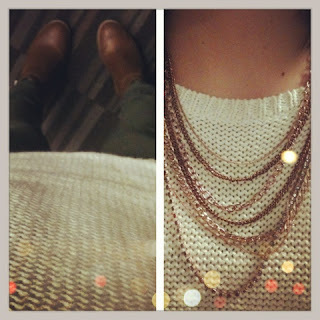 Love your green khaki pants with the white sweater and the necklaces! Really cute look :)!